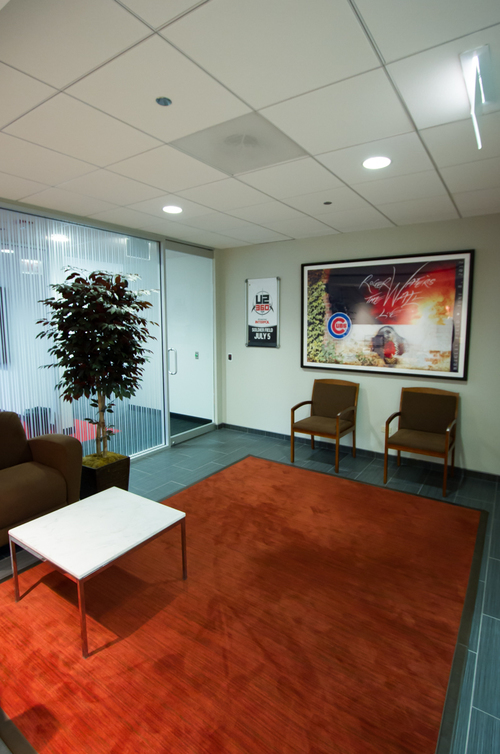 the world's largest and most highly-rated concert promoter, Live Nation, enlisted EWP Architects to design their Chicago headquarters. 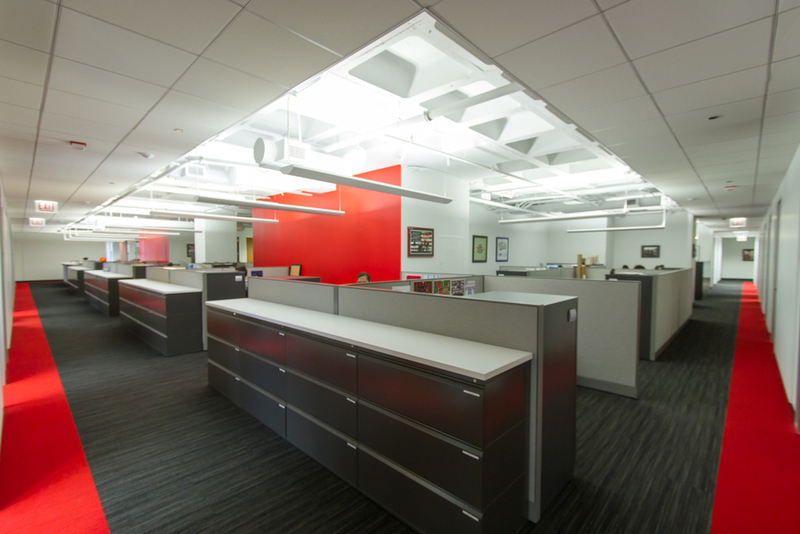 With a tight timeline of four months and a budget under $40/RSF, the goal was to create a cost-conscious design capturing existing architectural elements while providing an open, invigorating, and collaborative space. 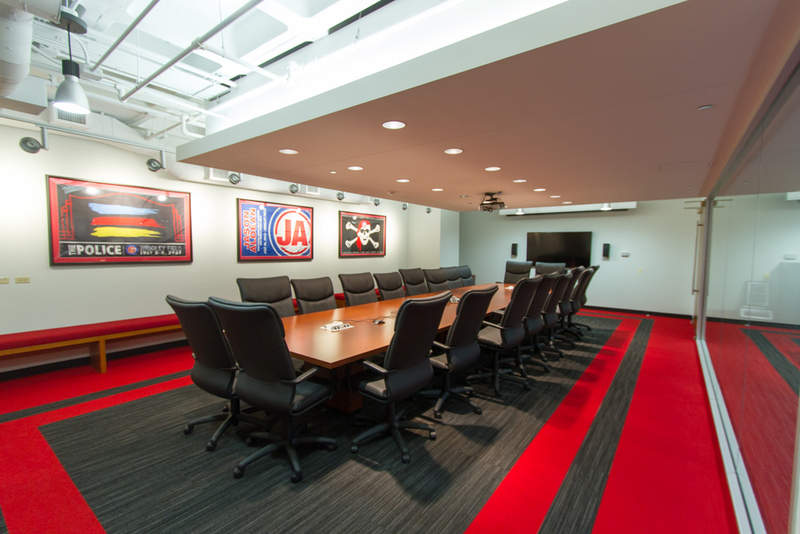 By opening up the ceiling, adding glass to the fronts of offices and conference rooms, and providing design elements in carpet and paint finishes throughout the space, EWP was able to create an energetic environment. Capitalizing on great lake, river, and magnificent mile views. Glass office and conference room fronts were used to connect the inside with the outside. Low-height workstation panels and pendant lighting fuse the energy of the interior and exterior elements together into a cohesive design for Live Nation.